Pet costume has foam printed headpiece with foam body, arms, and tail. Animal Planet licensed design. A plated prehistoric pet. Stegosaurus costume includes foam headpiece and padded green jumpsuit with attached spinal plates and tail. 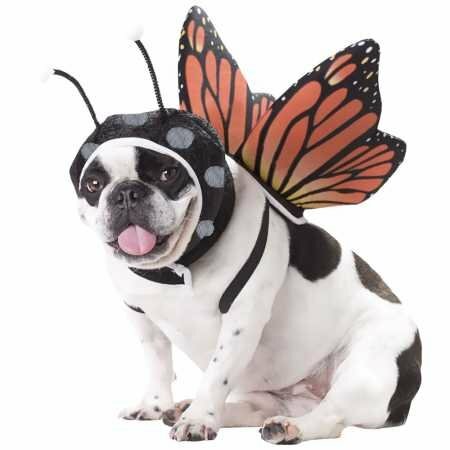 Your furry pal will emerge as a beautiful butterfly. Butterfly costume includes antennae, head piece and foam Monarch butterfly wings. 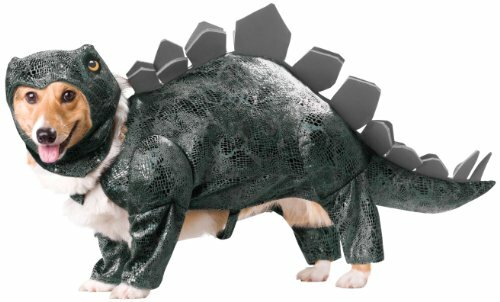 Let your lil' tail-wagger sit, fetch or go as a duo in the Pet Stegosaurus Animal Planet Halloween Costume! 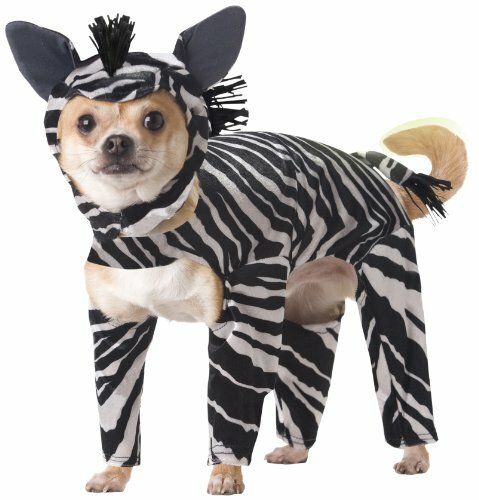 This pet costume comes with printed foam headpiece, foam-padded costume body with spinal plates and spikey tail! It's an Animal Planet licensed design! 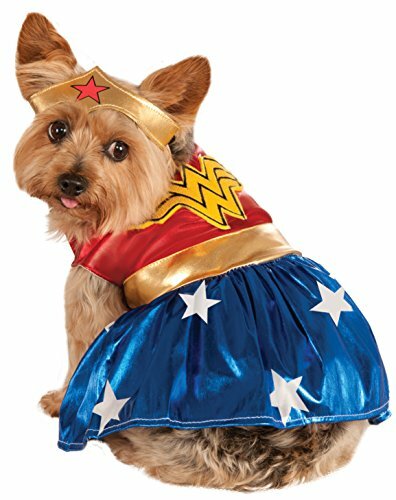 It's just the costume your pet needs for Halloween, pet pawties or just because it's pawsitively cute! 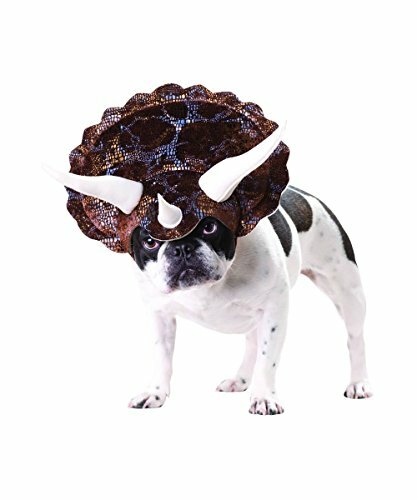 Let your lil' tail-wagger sit, fetch or go as a duo in the Pet Triceratops Animal Planet Halloween Costume! This pet headpiece comes with horns! It's an Animal Planet licensed design! It's just the costume your pet needs for Halloween, pet pawties or just because it's pawsitively cute! 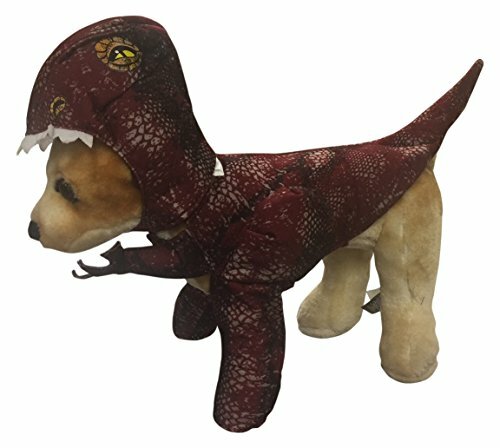 Let your lil' tail-wagger sit, fetch or go as a duo in the Pet Raptor Animal Planet Halloween Costume! 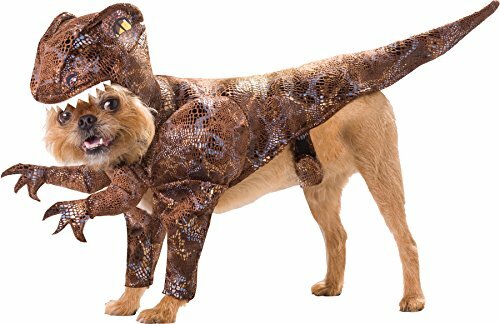 This pet costume has a foam printed headpiece with foam body, arms and tail! This is an Animal Planet licensed design! It's just the costume your pet needs for Halloween, pet pawties or just because it's pawsitively cute! The mystical walking groot will bring his tree-like wonder to life. This Guardians of the Galaxy Walking Groot Pet Costume is perfect for your pet if you’re a fan of the movie! This costume has arms attached to the shirt to where your cute little pup can just step right in. 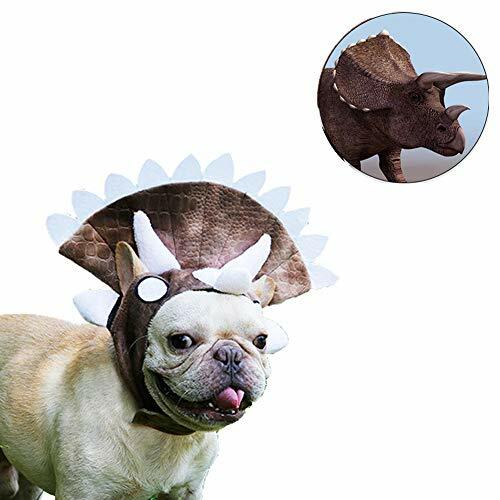 Lastly it comes with a headpiece to make your pup look like he walked right out of the movie screen. Grab this Walking Groot Pet Costume today, and bring one of your favorite movies right into your living room. Let your puppy join in on the Halloween fun with this deadly doll pet costume! Adorable and comfortable, this unforgettable piece of pet apparel is ready to have your animal be the hit of Instagram! Made of high-quality materials. Turn man's best friend into humanity's worst nightmare! Order today!